With SARS continued effort to improve compliance they have made it even easier for taxpayers to manage their tax affairs by introducing an enhanced Tax Compliance Status System. Being tax compliant and ‘paying your fair share’ is not just good for you and your business, but also contributes to the positive growth of our country’s economy which in turn benefits all South Africans. 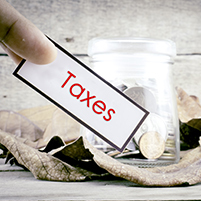 It is also important to remember that a taxpayer’s compliance status is not static and changes according to his/her continued compliance with the tax requirements. It is especially beneficial to those who require tax clearance certificates for business trading and for immigration purposes. Do I have any outstanding tax returns? Do I owe SARS money? Am I registered for all the tax products that I am liable for? Are the details of which I’m registered correct and up to date? Contact Us Today to receive a FREE TAX STATUS REPORT!